Children are a vulnerable group. They rely on their parents and guardians for support. But their health and well-being suffer as more parents struggle to juggle work, home, and other responsibilities. As a result, kids are left to amuse themselves with their gadgets or watch television to pass time. Most kids also have to deal with the issues they face daily on their own since their parents are often not around to guide them or listen to their stories. We may take it for granted but neglecting children and not giving them the attention they need can make them more prone to different health issues. Both parent often works to provide for the family, so younger kids are usually left at daycare while older kids are free to do what they want, even engage in vices. Over time, it can lead to health and safety problems or even poor performance at school, worst, mental issues for those who have a hard time coping. But an Ofsted follow up visit just three months ago said “children and young people are still not consistently receiving good enough services” and a Norfolk MP says he will present the new boss of the department with a dossier of concerns. Meanwhile, we were also concerned that such a vital department, which clearly needs stability, is now on its fifth head in recent years. We sincerely hope Matt Dunkley, the newly appointed director, can give Norfolk children’s services the direction it needs to improve, and quickly. Moreover, child abuse issues are also on the rise, which is starting to alarm many. Cases of child abuse leave these children scarred for life. 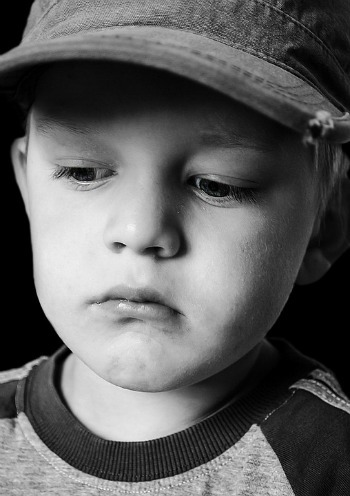 “Every year, thousands of children in Oregon are abused or neglected. Some we know about because we read their tragic stories in our newspapers — and I know I can speak for all Oregonians when I say that any child who suffers abuse or neglect is one child too many,” Kulongoski said that year. “As part of our collective responsibility to protect Oregon’s children, the state must strengthen our state child protective and youth authority services so that Oregonians have confidence that the children and youth who come into contact with those systems will be safe,” he said. Although rarely talked about, it is perhaps time to talk about children’s mental health because it is a growing threat to the community as suicide rates also keep on growing. Even people in authority who are supposed to offer help and support fail to do that. Hence, children take solace in their loneliness and feel even more depressed and suicidal. Grace, 16, has been bullied for the past nine years, has moved schools twice, struggled with suicidal thoughts and taken medication for anxiety and depression. At one point, she says, "there was no-one to turn to in the school and I felt so low I didn't want to go on". According to research for BBC School Report, half of teenagers with mental wellbeing issues try to cope alone. And a third said they were not confident enough to speak to a teacher. At her lowest point, Grace made a "suicide video", which she posted on YouTube. "I'd get beaten up every week," she says. "Teachers wouldn't do anything. I even heard the teachers talking about me behind my back." Children all over the world, not just in the United States, experience bullying, harassment, and other forms of abuse that wreaks havoc with their mental health. Parents should step up and establish a warm and open relationship with their children right from the start so their kids grow up to be responsible, confident, and happy children who can take care of themselves in the outside world, even on their own. Business, tech and economics - everything that makes the modern world go round.